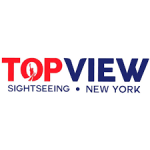 ​​​New York, NY , February 8, 2018	(Newswire.com) - TopView NYC provides a great way for visitors to sightsee New York City. 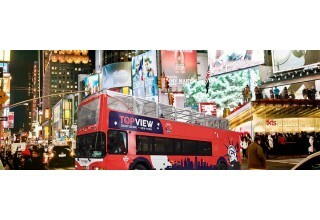 Riders are able to see the sights on double decker buses that offer an open top deck for unobstructed viewing as well as an enclosed lower level. The buses are equipped with a state-of-the-art GPS triggered audio guiding system that provides the tours in eight languages including English, Spanish, Italian, Portuguese, French, German, Korean, and Russian. TopView offers five tours 365 days of the year. Riders have the option of the Downtown, Uptown, Brooklyn, Bronx, and Night Tours. The company offers the option to hop on and off at one of the many stops along the tour. Riders can enjoy the streets, landmarks and attractions in the city like the Empire State Building, Apollo Theater, Carnegie Hall, 9/11 Memorial & Museum, and more. "New York City is a diverse and complex place so we crafted a set of tours designed to match it. Our extensive routes deliver a taste of everything New York City has to offer." Tours also cover great neighborhoods like Chinatown, Koreatown, Soho and Little Italy. The city’s iconic parks, Restaurant Row and shopping along 5th Avenue also top the tours attractions. TopView offers a detailed tour schedule and tour routes right on its website. The touring company also offers great package rates including an all-city two, three and five-day passes, 24-pass, Brooklyn tour, and more. 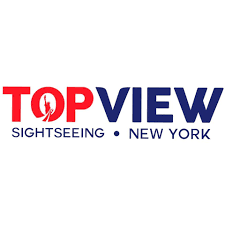 TopView NYC has low wait times, diverse routes, professional drivers, and cutting-edge GPS and touring technology, giving visitors an excellent touring experience in the Big Apple. More than a million riders enjoy tours with TopView each year. To learn more and purchase a tour pass, visit TopViewNYC.com. Launched in December of 2016, TopView is a tour bus company located in New York City. To learn more, visit TopViewNYC.com.